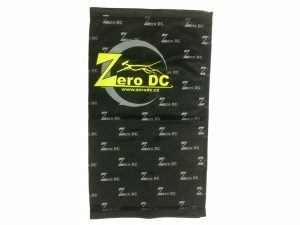 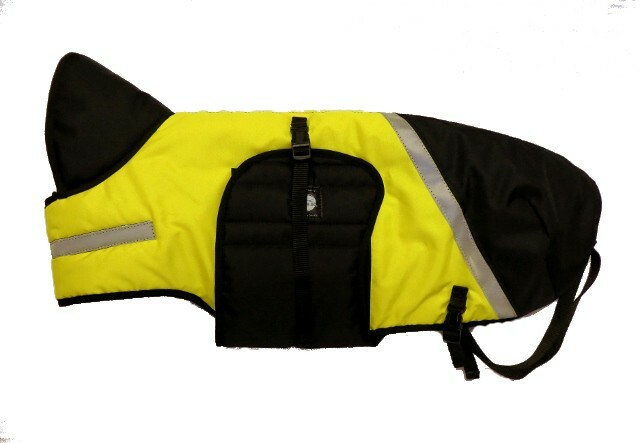 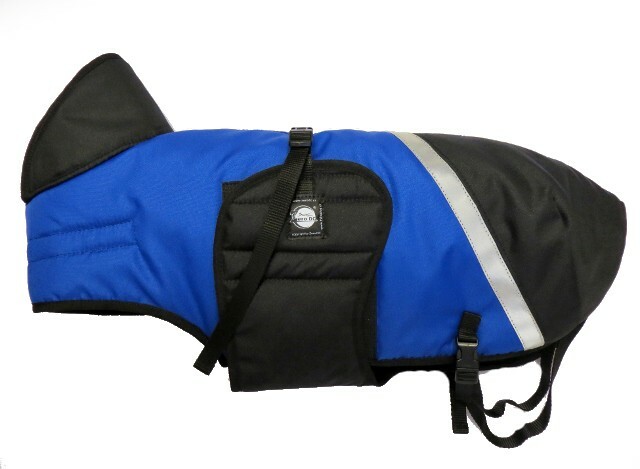 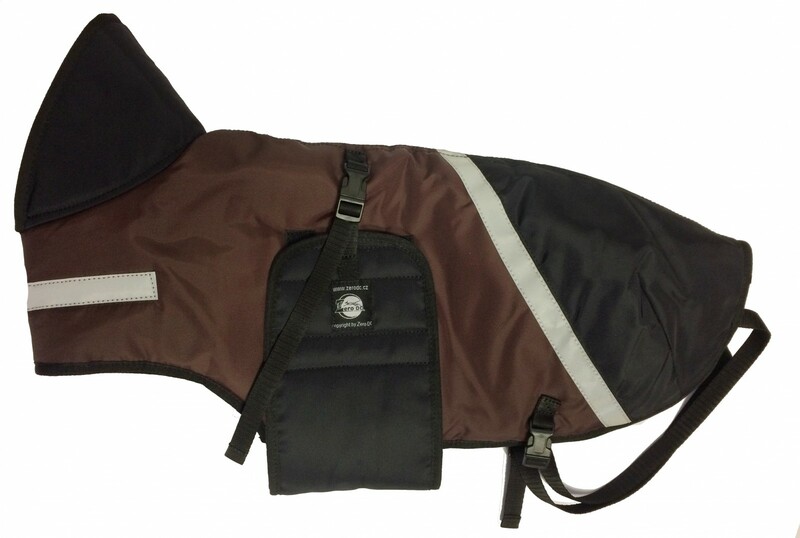 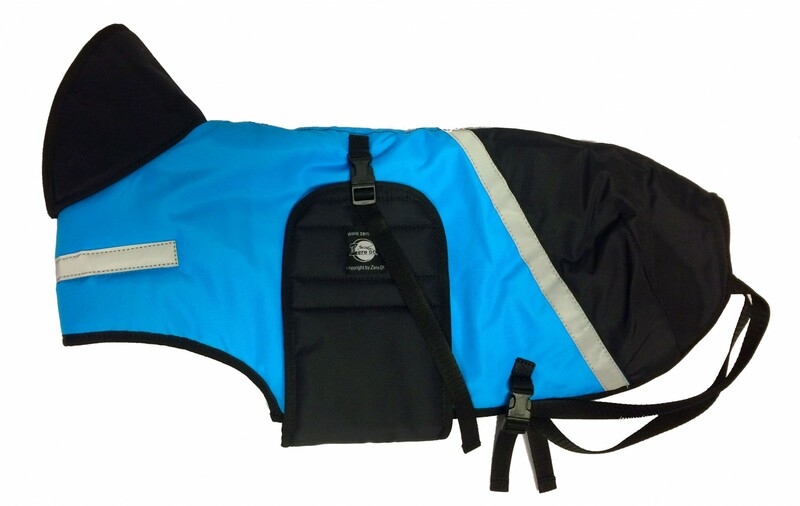 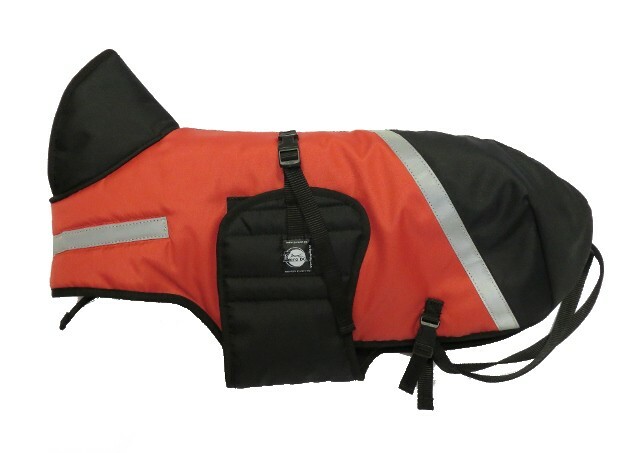 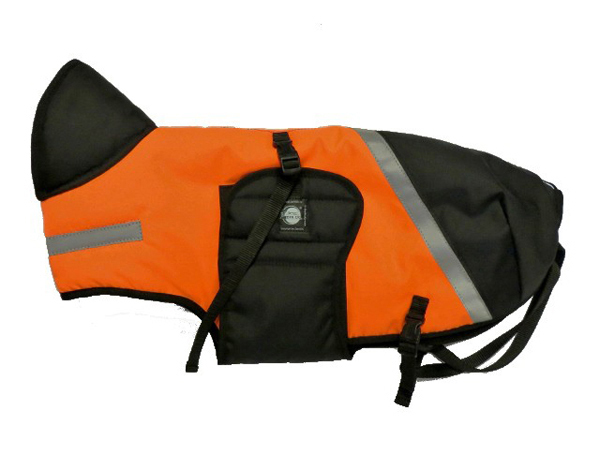 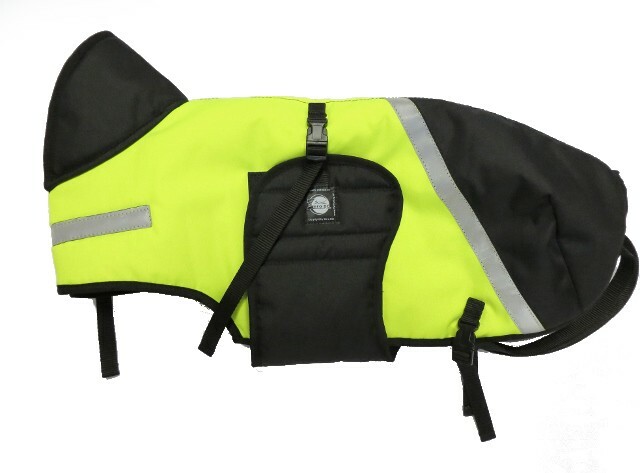 This raincoat consists of 2 layers and is easy to put on your dog with Velcro fastening and a plastic buckle around the neck and stomach. 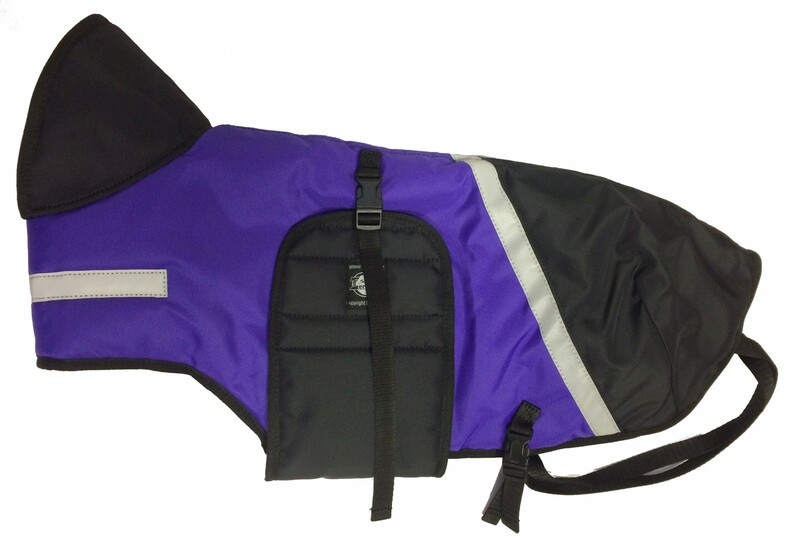 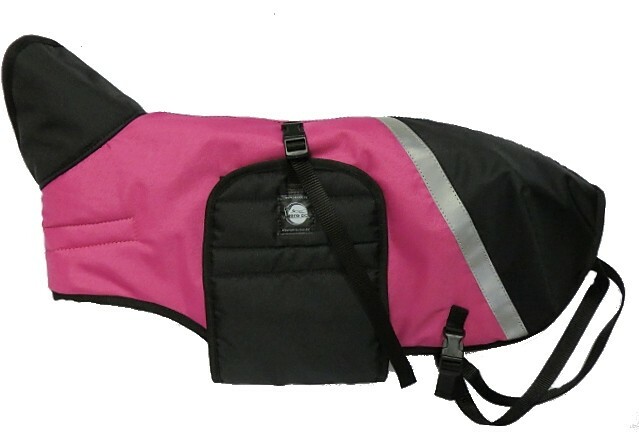 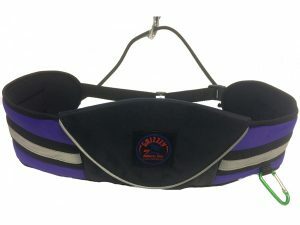 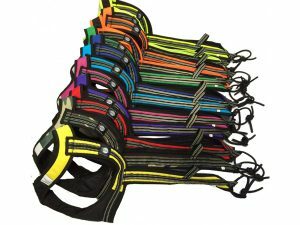 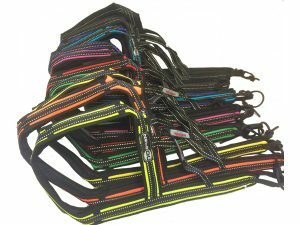 There are also leg straps, a hole for the tail and a hole in the neck area for attaching your lead to a collar. 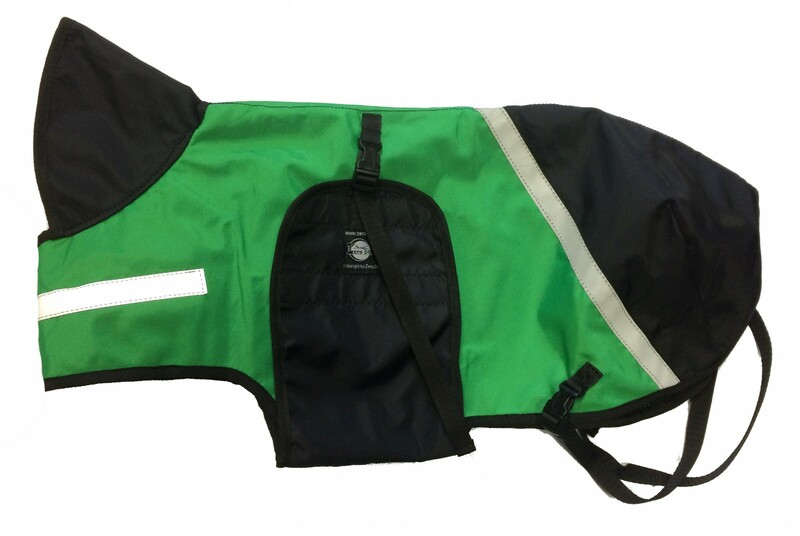 This coat can be made to measure, contact us for further details.